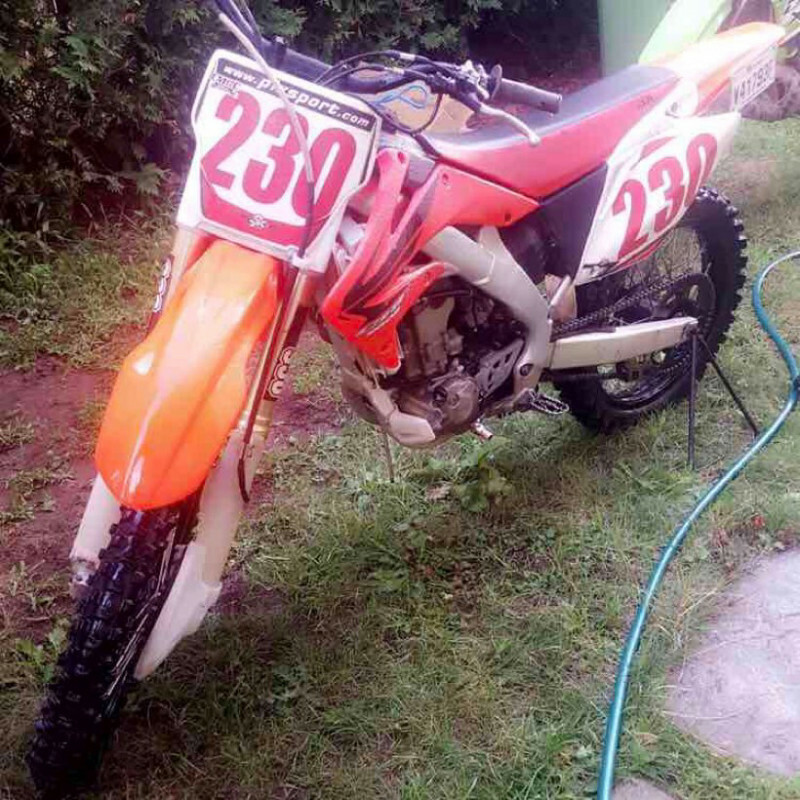 this 2007 honda crf250r bike is a closed-course motorcycle designed for competition use. includes a 249cc 4-stroke engine that delivers power to the ground. also has inverted fork, fully adjustable shock and 204-pound dry weight.